Maxim Lighting Newport Collection 1-Light mini pendant fixture in satin nickel finish, features high-strength steel construction. Marble glass offers even light distribution. 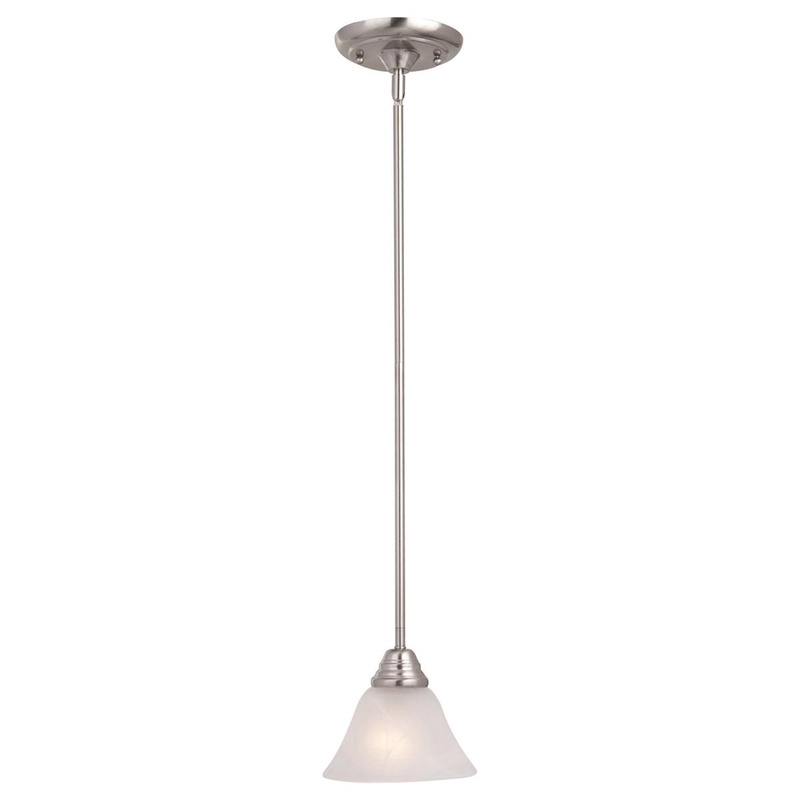 This fixture supports one 100-Watt incandescent lamp that has voltage rating of 120-Volts. Medium socket lamp has color temperature rating of 2700K to ensure optimal light level. Lamp offers 1150-Lumens of bright light output. This fixture measures 6.5-Inch x 5-Inch x 10.5 - 52.5-Inch. This fixture has 2500 hours average life. This fixture comes with 72-Inch lead wire for hassle-free installation. Fixture is UL listed, CSA certified and dry rated.